The purpose of an Electric Power System is to generate and supply electrical energy to consumers. The power system should be designed and managed to deliver this energy to the utilization points with both reliability and economically. The capital investment involved in power system for the generation, transmission and distribution is so great that the proper precautions must be taken to ensure that the equipment not only operates as nearly as possible to peak efficiency, but also must be protected from accidents. The normal path of the electric current is from the power source through copper (or aluminium) conductors in generators, transformers and transmission lines to the load and it is confined to this path by insulation. In terms of seriousness of consequences of a fault, short circuits are of far greater concern than open circuits, although some open circuits present some potential hazards to personnel. Causes of Faults: The insulation, however, may break down, either by the effect of temperature and age or by a physical accident, so that the current then follows an abnormal path generally known as Short Circuit or Fault. Any abnormal operating state of a power system is known as FAULT. A fault in general consists of short circuits as well as open circuits. Open circuit faults are less frequent than short circuit faults, and often they are transformed in to short circuits by subsequent event. Expensive damage to the equipment due to abnormally large currents, unbalanced currents, or low voltages produced by the short circuits. Explosions which may occur in equipment containing insulating oil during short circuits and which may cause fire resulting in serious hazard to personnel and to other equipment. 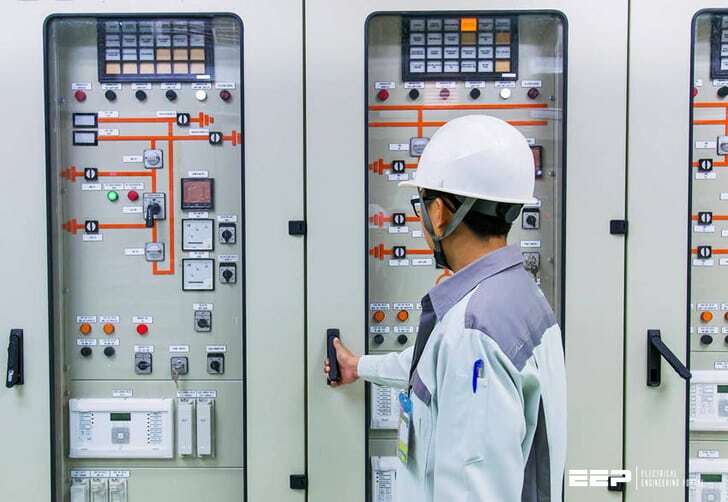 Sever drop in voltage which is likely to cause the individual generators in a power station or a group of generators in different stations to loose synchronism and fall out of step with consequent splitting of the system. A risk of synchronous motors in large industrial premises falling out of step and tripping out.